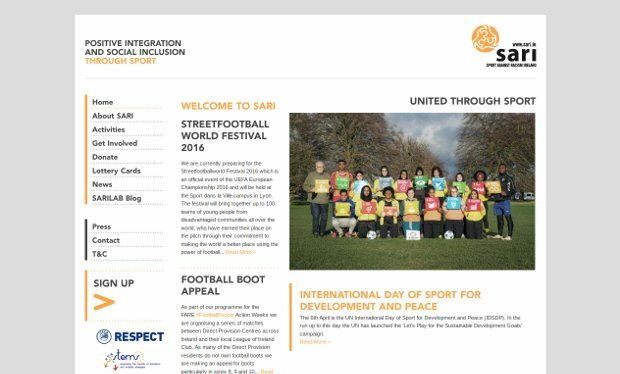 SARI supports and promotes social inclusion and positive integration through sport. SARI is a not for profit organisation that was set up in 1997 as a direct response to the growth of racist attacks from a small but vocal section of people in Ireland. The mission of the organization is to present sporting and cultural events that bring together people from different cultures and backgrounds, create opportunities for young people to participate in social integration projects at home and abroad, promote intercultural dialogue and celebrate cultural diversity through projects in schools as well as encourage government agencies and national sports bodies to adopt anti – racism measures and inclusion of policies and practices. SARI has harnessed the powerful potential of sport – in its universal application – as a vehicle for positive integration of all communities island wide. It has developed its grassroots projects and built its volunteer capacity based on trust and deliverables. It creates safe spaces free from discrimination and xenophobia always mindful that integration and engagement off the playing fields is equally important. How many types of hate speech?